WEBINAR SNAPSHOT: Learn how to calculate injury damages in Tennessee. The Tennessee Civil Justice Act of 2011 set a $750,000 cap per injured plaintiff in all personal injury actions on non- economic damages. The act allows damages of up to $1,000,000 for “catastrophic" injuries. With these caps, proving your client's economic damages, like medical expenses, is more critical. When your client has been injured in an automobile accident, a slip and fall, or some other event, you need to take several issues into consideration. Has the client suffered a permanent injury or will the client recover in a short amount of time? Was some pre-existing condition, like a prior back injury, aggravated by the incident or were all of the client’s injuries attributable to the pre-existing condition? What medical expenses has the client amassed? Are the expenses reasonable and necessary? And what medical treatment will the client need in the future? Use this valuable 60-minute webinar on-demand to learn how to get answers to these questions and many more. Your presenter, a seasoned Tennessee litigator, will provide critical instructions for achieving the best possible outcome for your client. Injury Damages in Tennessee: What's the Extent — and How to Prove it — is just $107. Stephen R. Leffler is a member of the Law Office of Stephen R. Leffler, PC, in Memphis. 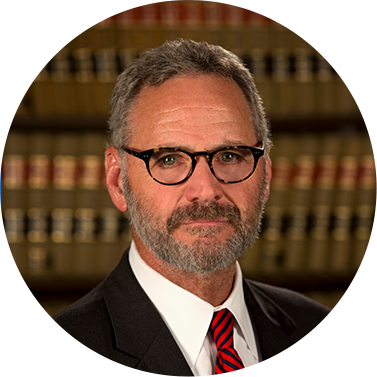 He has practiced law in the state and federal courts of Western Tennessee for more than 20 years. Mr. Leffler is a frequent CLE lecturer on issues of criminal law, civil trial practice, and wrongful death. His practice is in the areas of criminal law, personal injury, wrongful death, misdemeanors, and felonies. He has recently been recognized by the Mid-South Super Lawyers and is a member of the Million Dollar Advocates Forum, and the Memphis and Tennessee Bar Associations, the Tennessee Association forJustice, and the Tennessee Association of Criminal Defense Lawyers.